Transferring the data from the old to the new cart is very time consuming: You have to copy each item one by one to the very limited internal RAM (125 blocks), then power off the console, swap carts, and copy the items from the internal RAM to the new cart. 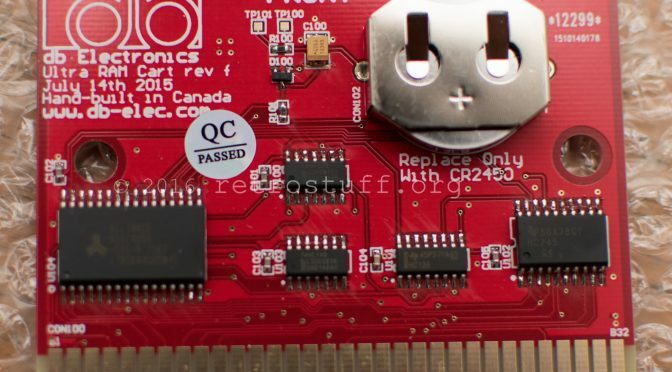 Then format the internal memory and start over. 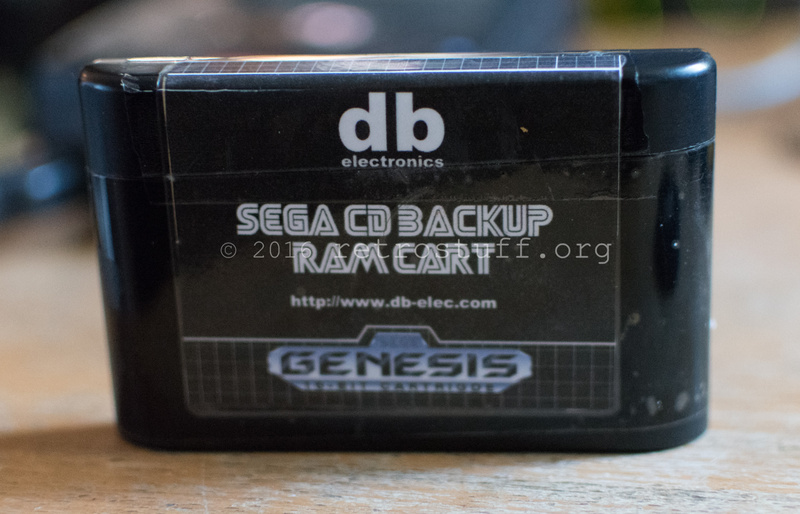 To speed up this process I’ve entered the data (item number, item name, memory used) into an Excel sheet, listing all save files that are currently stored in the backup RAM cart and in the internal memory of my Mega CD 2 and my Multi-Mega. Then I had Excel mark duplicate items and started the games to see which files were worthy to keep. That way I’ve found and deleted a whole bunch unneeded files, ranging from small settings (1 block) to huge save states for Shining Force CD (99 blocks). 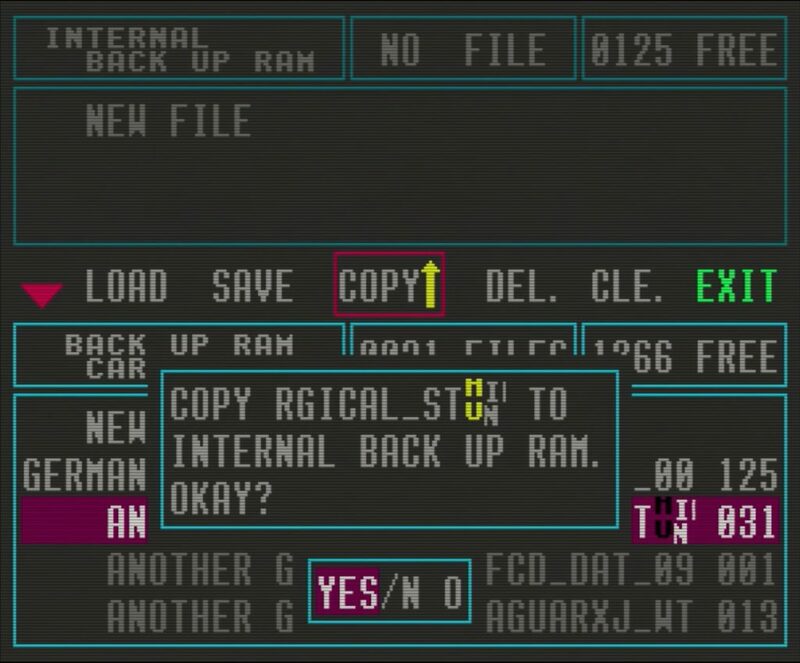 Hint: Some games have a somewhat more sophisticated memory manager that show the contents of both memory locations side by side and don’t force you to leave and re-enter the menu after copying a single item. Notable examples are Sonic CD and The Third World War. 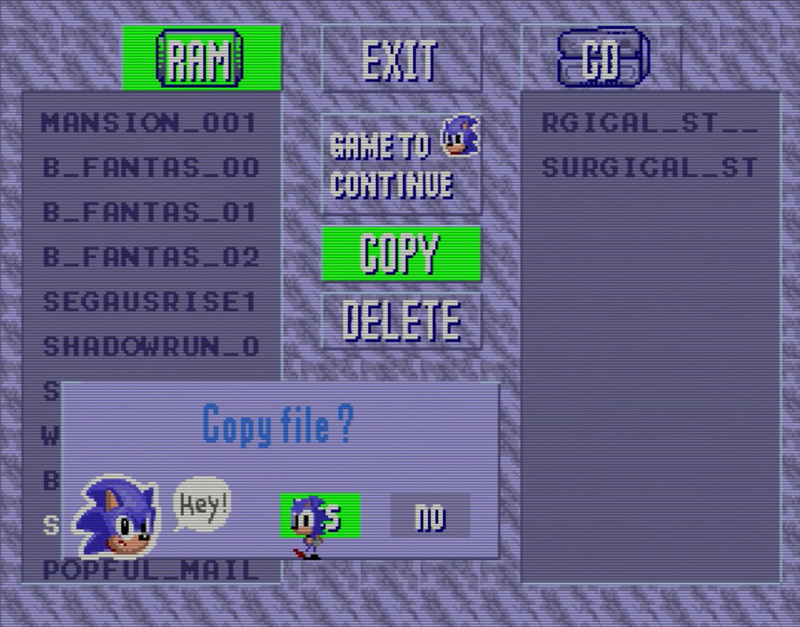 Drawbacks: Sonic CD doesn’t show the file size, has annoying copy/delete confirmation dialogs and creates its own 11 blocks save file in the internal memory. The Third World War memory manager can’t be recommended at all as it doesn’t show the items in correct order and also corrupts some file names for good. 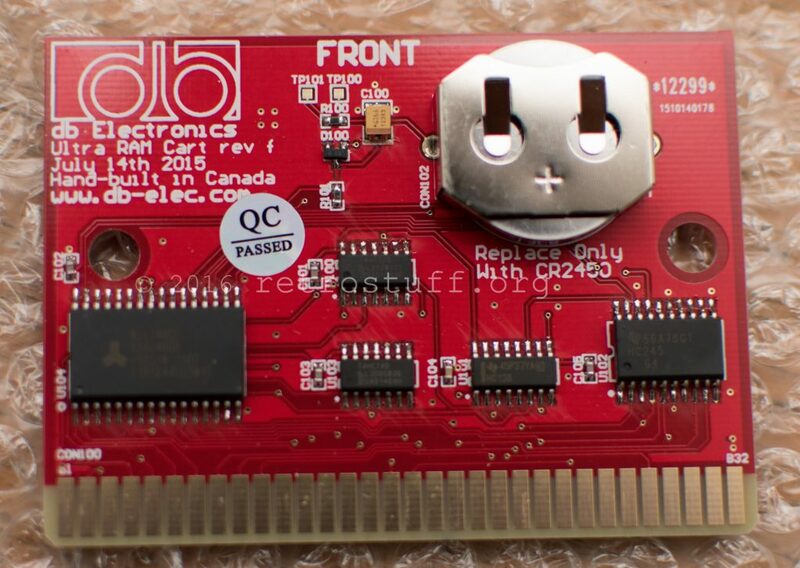 Keep in mind that the current design of the cart (rev f July 14th 2015) still has the Dark Wizard bug. If you’re planning to play that game then wait for the revised design to show up in the shops.